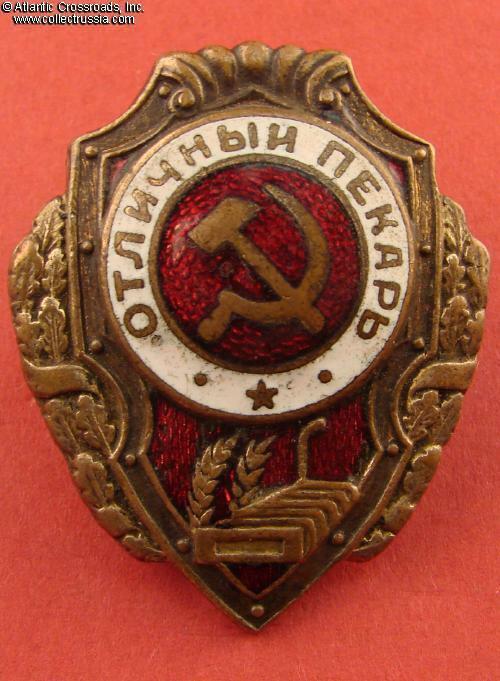 Excellent Baker badge, mid 1940s. 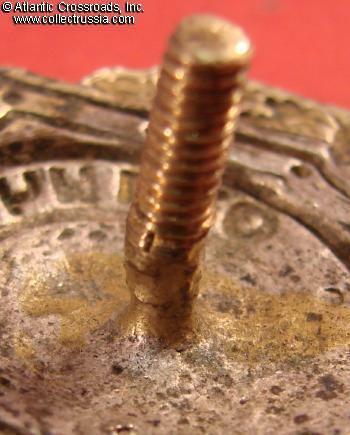 Brass, enamels; 44.9 x 36.2 mm. 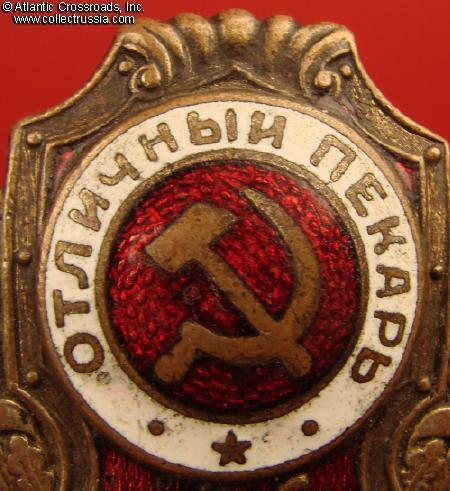 This is the second of the two earliest variations of the badge, produced by the ZhRPT factory. Features five scrolls in the ornament above the shield forming a wavy top edge. In very fine condition. The enamel shows moderate, even surface wear and a few very small flakes but none of the usual penetrating chips; still has very impressive appearance. Details of the wreath and loaves of bread are very well preserved; much of the original silver finish is still present. 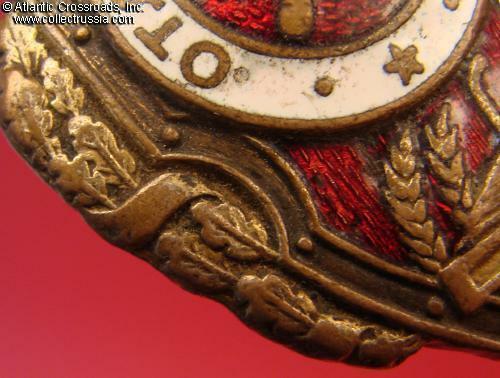 Traces of the fragile gray finish on the edge of the shield are clearly visible. The silver plating on the reverse is almost completely intact. 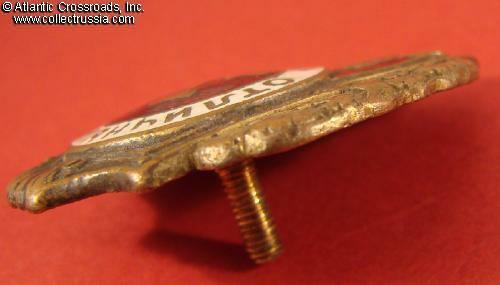 Comes with an early NKPS screw plate which may be not original to the badge but fits perfectly. 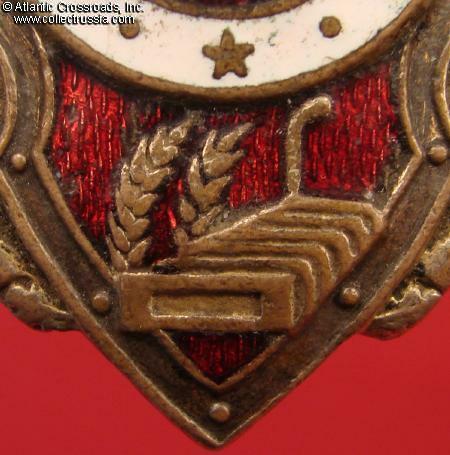 There have been probably fewer issues of the Baker badge than of any other in the WW2 proficiency series. 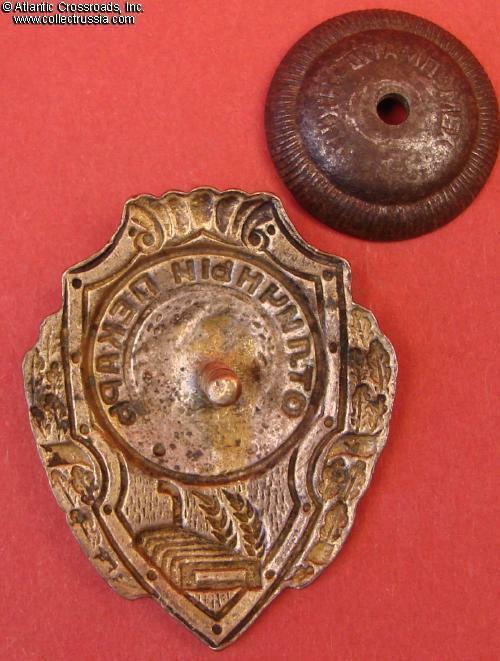 /See "Breast Badges of the Red Army, 1941-1945", p. 127, fig. 2/.